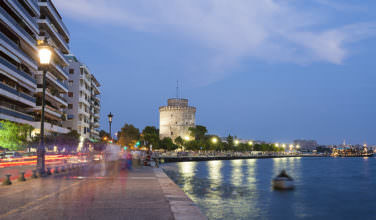 When visiting Greece, it’s tempting to head to one of the more well-known, commercialized destinations. 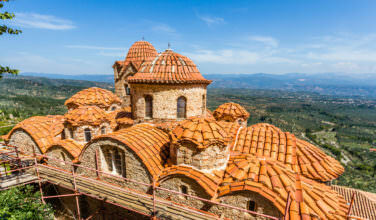 After all, these are some of the most iconic travel destinations in the world! However, this isn’t all that the country has to offer. There are plenty of places that are off the beaten track that are with visiting, as well. The island of Karpathos is one of these places. This is an island that is known for its distinct scenery. Deep blue water laps against a gently rocky coastline. Mysterious coves are also found along the landscape. This island is often described as rugged, but that doesn’t quite do the place justice. Karpathos also has an easy charm that goes along with the relaxed lifestyle that most places in Greece enjoy. It also has a long history – the ancient writer, Homer, mentioned the island in some of writings. One of the best ways to enjoy the island is to hit the beach once you arrive. After journeying to the island either by plane or ferry, it’s time to start enjoying the sites! You’ll immediately notice the ruggedness that people describe. The island is rocky and often unforgiving. However, the beaches here are relaxed and pleasant and many are filled with plenty of gorgeous, soft sand. It is the perfect place to sit back, relax, and enjoy the Greek sunshine. Each beach also has its own unique charm. The scenery on this island is certainly one of the highlights. 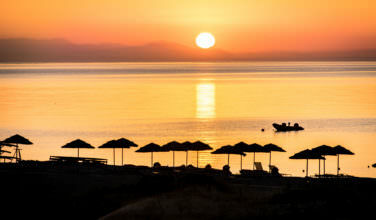 Kyra Panagaia Beach is often listed as one of the top beaches in all of Greece – and with good reason. The scenery located here represents the absolute best that Karpathos has to offer. The beach itself is filled with beautiful, soft sand mixed with small pebbles and the waters are a deep crystal blue. The sun seems to always be shining here, as well, especially during the peak summer months. Not only that, but the beach itself is next to a beautiful mountain and is flanked by a small cove. Because the water is so warm and gentle here, it is truly an ideal beach for swimming. It also has a parking lot and is easily accessible by car because it is off one of the main roads. There are sun beds and umbrellas to rent, and there is a taverna close by in case you need refreshment or something to eat. The beach also has a nearby hotel so if you know you want to spend plenty of time at this beach, you should consider staying at that hotel for at least part of your stay. 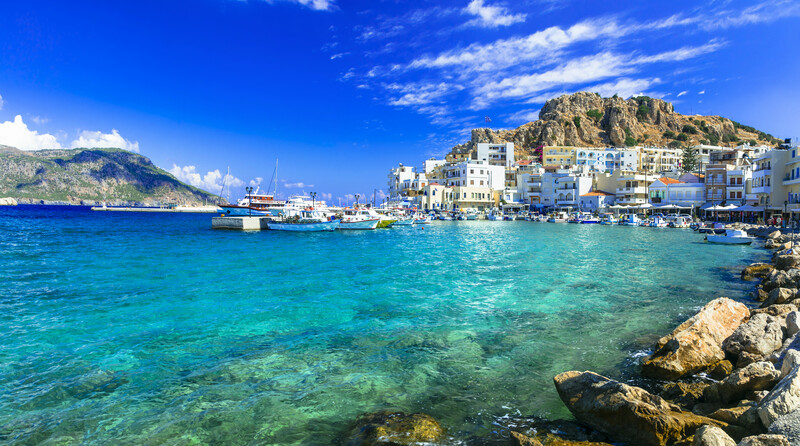 In a lot of ways, Karpathos gives the chance to experience a Greek island in the way you’re supposed to – free from commercialism while embracing the traditional Greek way of life. Nowhere is this more prevalent than at the beach of Kyra Panagia, which is a stunningly beautiful spot that pleases tourists and locals alike.